Timing bubble is the time that runs on your display screen while recording. 2. There you will find "Recording Options". 3. Where you can find "Hide the recording controls while recording is on" Option. 4. 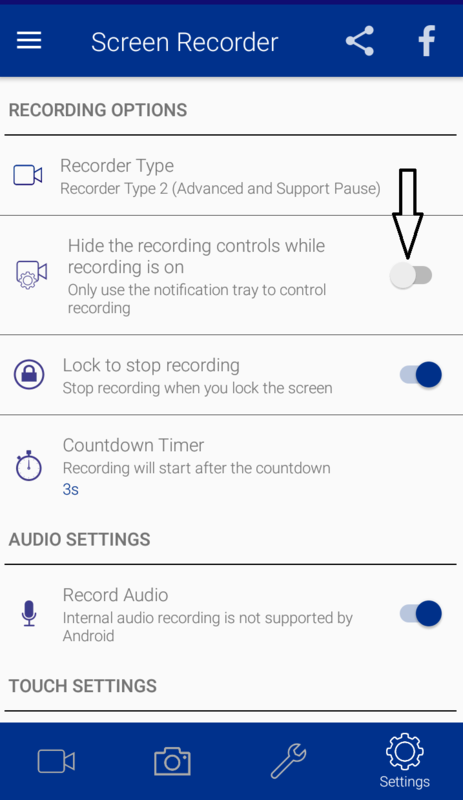 Enable this option to hide time bubble on your screen while recording.